CALL 951-216-3650, WE ALWAYS ANSWER! 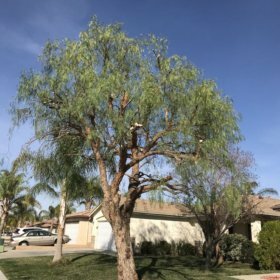 When you’re looking for tree services in Temecula or Murrieta California you can rely on us! Homeowners have trusted us with their tree care needs for years! 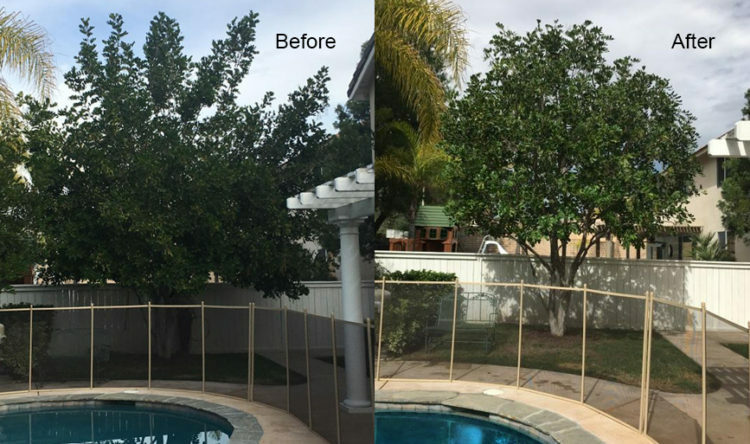 We have an experienced staff of certified professionals that are dedicated to keeping your trees looking healthy and beautiful. We have the expertise and the dedication needed to provide you with various residential tree services, including: Residential Tree Removal, Tree Trimming, Stump Grinding, and Shrub Removal. 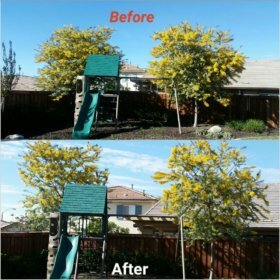 Affordable Tree Trimming Tree Removal in Temecula and Murrieta! Trimming your trees regularly keeps them healthy and maintains the beauty of your property. If you need a tree removed safely and properly, you’ll appreciate our attention to detail. 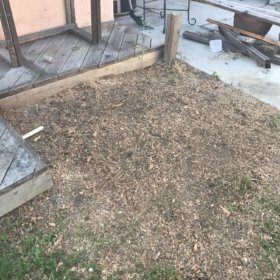 After a tree has been removed, we can remove the stump so you can use the area for something new! "SOMEONE IS SITTING IN THE SHADE TODAY BECAUSE SOMEONE PLANTED A TREE A LONG TIME AGO. " We believe our work speaks for itself. Below are a few photos from recent job sites. We love to branch out and make it easy for you to reach us! The comments below are just a sample of the many positive reviews that we receive from our customers. These testimonials were compiled from 3rd party websites, emails, and other sources. We’ve added them here for your convenience. These guys did an incredible job!! 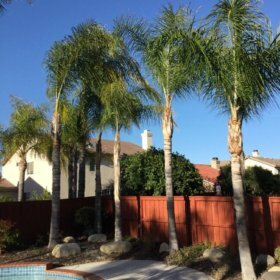 I needed to remove several palm trees and palm tree stumps from my backyard. I got several quotes from several other companies, and ELM was by far the most affordable. They were quick, concise, polite, efficient, and cleaned up after themselves. I highly recommend them and would certainly use them again in the future. I had a great experience with these guys. They communicated quickly and got the job done perfectly. The guys were polite and worked very hard. Overall excellent service provided at a fair cost. We had two large pepper trees cut down on our property. They did an excellent job! Would highly recommend. We hired Bob and Ryan to remove 4 trees from a home we just recently purchased. Ryan came out immediately to give an estimate and they were able to start the job the same week. 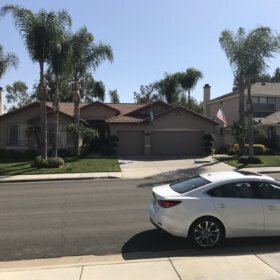 As a home owner I know I could of probably hired the guys on the corner and saved a few bucks, but hiring a true insured professional gave me peace of mind, and I came home to a spotless backyard. They are AMAZING!!!!!! We highly recommend Elm Tree Care! The whole crew was professional and efficient. They are very reasonably priced and get all of the work done in a timely manner, as well as clean up everything when they are finished ! 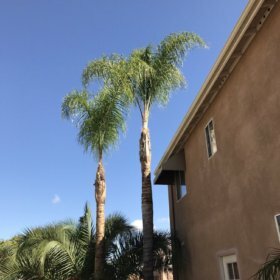 After having Bob come out to cut down the trees at my rental, I had him cut down two queen palms and trim up all my other ones. I don’t have any before pictures, but I am very happy with the work and the price. I came home from work and found everything exceptionally clean. I will continue to use Elm Tree Care. 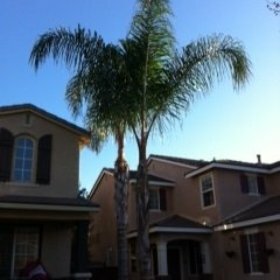 Updating my review from over a year ago since we had ELM back today to remove two more trees and trim a very large pepper tree. A year later and Bob, Ryan and crew were still very professional, timely, and fast from when I first asked for a quote to having the work completed. Tree looks great, cleaned up as they went, and were very reasonably priced. They have great reviews for a reason. I had to remove a tree and trim a few and this company was nothing short of very professional and quick! They cleaned up after themslves and did a great job! Super happy customer!!! will definitely use and recommend in the future! I’ve delt with a lot of tree companies in my time but I feel the Elm tree care is one of the best. Pricing very reasonable the men that work for the company are very personable and take the time to note and study what they are going to handle the tree. Had a olive tree laced did a fantastic job. I would recommend Elm tree care with no hesitation. I had to remove a fairly tall tree and to grind out the stump. Elm Tree Care met and exceeded my expectations. Bob was friendly and work was performed quick and as scheduled. I would highly recommend their services and my project was fairly priced. Did a great job with my Pepper Tree! Very reasonable rates and professional crew. Cleaned up nicely after the job. Definitely keeping Bob in my contacts list for future tree service! I found this company on Yelp, requested a quote on a Saturday and they very efficient and prompt with their quote. Monday I decided to proceed and they emailed the contract. I esigned it and we were ready for our Wednesday appointment. Their 2 workers showed up at 7:30 am as promised. They got right to work on my 12 palm trees and 2 birds of paradise. I left to take my daughter to school and came back to 3 trees completed. The trees looked amazing. I was super impressed with their work. They left my home in perfect order, very clean and were very professional. I highly highly recommend this company. Do not waste your time or energy getting additional quotes they are beyond fair in price and very professional. Bob and his crew where on time to give 15 of my queen palms a needed hair cut. They knocked the job out in 3 hours and took extra care to ensure the landscape below was not harmed. The clean up and attention to detail was exceptional. A great job and reasonably price! I would HIGHLY recommend this business for any of your tree trimming needs! If you need tree care, this is an amazing company! Totally cleaned everything; took out the stump; all roots, etc. Would highly recommend them! E.L.M. 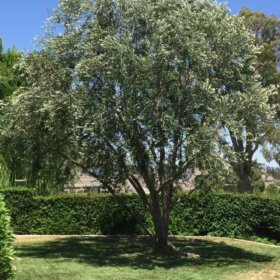 has trimmed and shaped our mature California Pepper tree twice. The first time it was very overgrown and required a large amount of root removal. They have done a great job both times at a very reasonable price that was actually well below some of their competitors. For these reasons, we both recommend and plan to use their services again. These guys were quick to get back to me and arrived at my house a little before the scheduled time. They ground down a white ash tree stump in my back yard. In less than an hour the work was done and the wood chips were cleaned from the rest of the yard. I have more trees on my property that I will be using E.L.M. services again. I needed my two queen palms trimmed and contacted Bob about the job. He gave me a very reasonable quote and scheduled me a week before Xmas. Bob and his crew arrived at the agreed upon time and were totally professional, kind, courteous, and friendly. My palms were expertly trimmed, cleanup was meticulous, and the crew was done in under 30 minutes. I couldn’t be happier. I would give Bob and his crew six stars if I could. If you want a highly professional reliable team to care for your trees, give them a call. Highly, highly recommend!!! Just had 2 very large palm trees removed! Owner was here 10 minutes before scheduled time, very friendly and professional. Let me know would have a 3 man crew here. I was amazed at how quick and efficiently they worked. They left the yard looking better then it did before they started. Very reasonably priced. I would highly recommend their service. Let me tell you all the things I love about ELM Tree Care! First and foremost, their prices are better than the competition. One of the quotes I got was $200 whether I did 2 or 3 palms, but this company charged per tree so I was able to save some money. Their price per tree was also a little cheaper than the competition. The guys showed up on time (early actually), did a great job cleaning up the trunk and trimming the palm leaves, and cleaned up as they went and after they were done. They took caution not to toss any of the debris in my other bushes too, which I appreciated. They were here and gone in about 30 minutes. The guys were nice, trees look great, and I’m very happy with their service! Thank you so much for doing such a wonderful job! 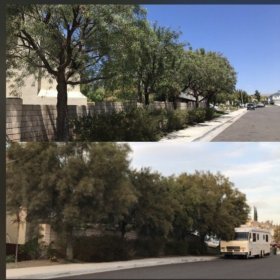 Not only did you remove our 3 trees, and you did that well, but your team completely cleaned up every bit of the tree, debris, and dirt in the process. Our neighbor was so impressed at the great job you did he asked for your contact information. Thank you! Ryan is super professional. He and Lupe trimmed two acacia trees and where done within an hour and a half. I would advise that you communicate with your neighbors beforehand in case some debris falls in their yard, they may quickly hop over the fence to collect it. I can’t say enough great things about Bob, Lupo, and his crew. They were quick, safe and professional. They completely removed 4 trees, including an olive tree and fan palm and trimmed our entire yard. We did the daily rate and it worked out wonderfully. They left the yard cleaner than they found it. We will certainly use them going forward for any tree needs.